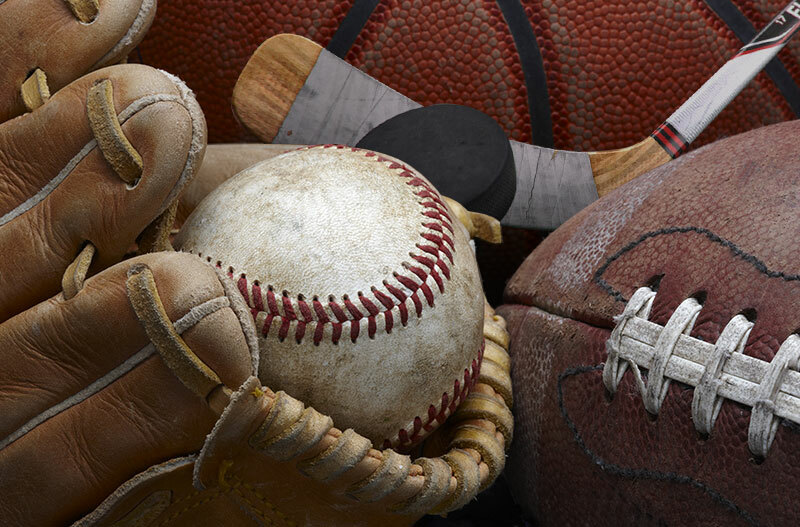 Sports card collecting is dominated by the four major American sports. Buy baseball cards, and you’ll collect the most popular sports cards. Buy football cards, and you’ll find they’ve gained in popularity along with the sport itself. Buy basketball cards because its players are so widely known today, or buy hockey cards because it’s not as popular as the other sports. 1909–1911 American Tobacco Company T206 Honus Wagner. This card sold for $3.12 million in 2017, by far the highest price ever for a sports card. Only three in good condition exist. 1952 Topps #311 Mickey Mantle. Mantle’s rookie card increases in value every time a mint version of the card comes up for auction. The last one sold for $1.13 million in 2016. 1914 Baltimore News Babe Ruth. Not technically a rookie card, since it depicts Ruth as pitcher for the International League Baltimore Orioles, it sold for $517,000 in 2008. 1958 Topps #62 Jim Brown. What makes Brown’s rookie cards so valuable is that so many of them had defects. A card in perfect condition sold for $358,500 in 2016. 1935 National Chicle #34 Bronko Nagurski. Surprisingly, this isn’t Nagurski’s rookie card, but since so few exist, it’s become the most valuable football card, selling for $350,000 in 2011. 1957 Topps #110 Bart Starr. Vince Lomdardi redefined football, and Bart Starr was his aptly named quarterback. His rookie card was sold for $288,000 in 2017. 1948 Bowman #69 George Mikan. This Hall of Famer was a dominant player in the early years of the NBA. Cards were scarce then. His rookie card, in mint condition, sold for $403,664 in 2015. 1970 Topps #123 Pete Maravich. “Pistol Pete” was a prolific scorer. His rookie card, valued as low as $18,000 in 2007, sold for more than $130,000 in 2015. 1961 Fleer #8 Wilt Chamberlain. His rookie card shows him with the Philadelphia Warriors, but he was perhaps the sport’s greatest player with the Lakers. This card sold for $45,000 in 2017. 1958 Topps #66 Bobby Hull. Nicknamed The Golden Jet, Hull had one of the most fearsome slapshots in the game. His rookie card sold for $102,000 in 2017, a record for hockey cards. 1979 O-Pee-Chee #18 Wayne Gretsky. The most expensive modern hockey card ever sold — for $94,163 in 2011 — is no surprise. The Great One ruled the sport, and now his card does too. 1966 Topps #35 Bobby Orr. Before The Great One, there was Bobby Orr, part of the 1970s’ Big Bad Bruins teams. His near mint rookie card sold for $35,850 in 2015.